Chinese noodles, Russian borscht, Japanese sushi, Indian curries, Italian pizza, Korean kimchi or American hot dogs: you name it, the ITER canteen cooks it. Last week, with the opening of the brand new canteen in the new ITER Headquarters Building, another milestone in the moving process of all ITER staff onto the ITER site was reached. The large restaurant area, with dining space for close to 500 people, offers an exceptional view of the Durance Valley. But that is not the only exceptional feature of the new canteen. One of the key characteristics is the diversity of its offer: international food to reflect the diversity in nationalities and cultures of the ITER staff. 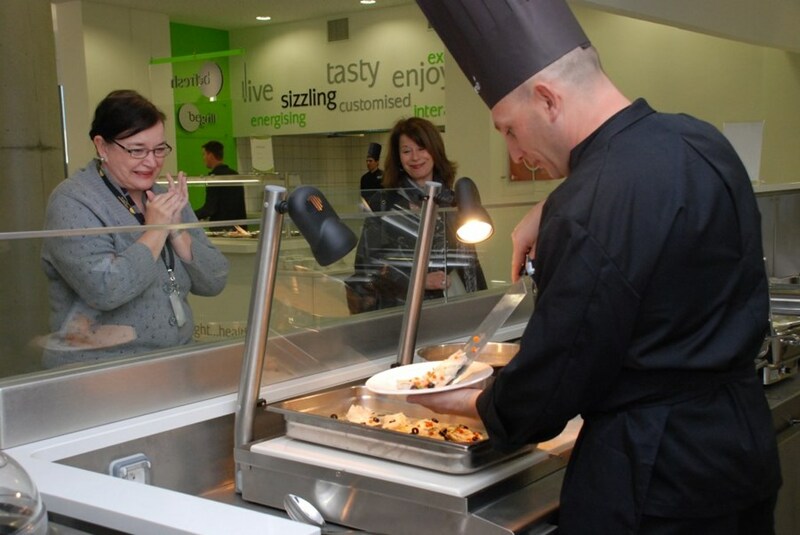 The expression "international cuisine" takes on a completely new definition in the ITER canteen where one can find an Asian, vegetarian, Western, pizza, salad and grill counter to please the taste buds of staff from each ITER Member state.